It has been scientifically proven that building lean muscle speeds up fat loss, resulting in a leaner, fitter you. Make it even more awesome by surrounding yourself with other positive, motivating ladies and you have SUMMER SHRED! This is your chance to take part of our very successful Summer Shred program. Our program is designed to change how you want to feel, but this is not a "magic pill". Expect to work hard. We don't care where you're starting from, only that you try your hardest and finish the 6 weeks! This program incorporates strength work in the form of hypertrophy work with barbells, dumbbells and/or kettlebells. Plan on working hard and reshaping your body. Find your strength and feel like a better, stronger version of yourself. Space is limited to 12 dedicated ladies per group, these coveted spots fill up quickly so sign up today! Our focus is on becoming strong (inside and out), conditioned, & be more energetic. 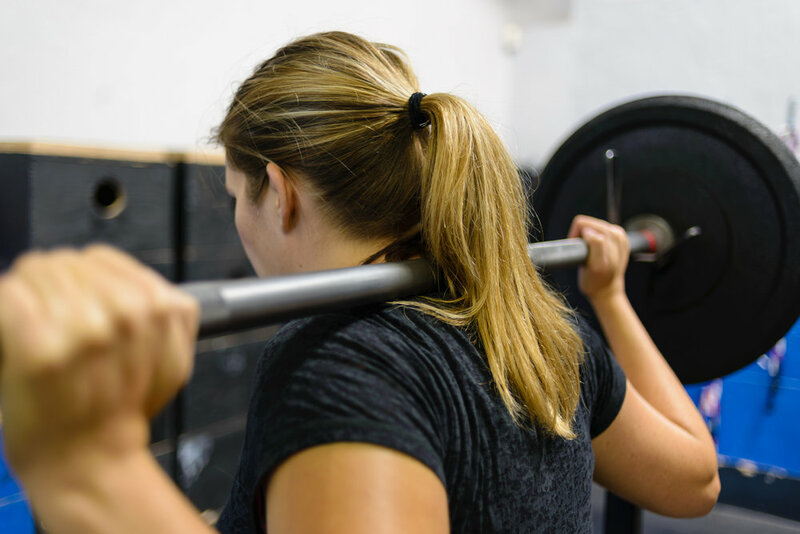 Our training will include body weight, proper movement patterns, battling ropes, suspension training, and other fun progressions to help you optimize strength, fitness, and energy. GROUP INFORMATIONAL MEETING ON THURSDAY, JULY 13TH @ 10am. A typical personal training session costs $100/hour. In a dedicated small group you are getting the same attention for $27/hour. The 6-week guided Summer Shred Program is $327 for 12 sessions ($27/session) and payment is due for the full 6-weeks upon enrollment. But remember, you have access to 9 additional classes in the time that you are with us and so much more! There are no refunds for missed classes OR for this program. YOU MUST COMMIT TO 2 SESSIONS/WEEK! We are accepting a limited number of ladies who are 100% ready to commit to this program. This is not for beginners to fitness. If you are a true beginner to exercising, please inquire about our Elements program. We need serious, excited and eager women who are looking to transform their current lifestyle. As your coach I put my whole heart into our program and I ask one thing from you, that you are committed to the program and are willing to be coachable! Our training is a practice that is not perfected in just a few sessions, you need to be willing to be humbled and be patient with the process. Leave your ego at the door! You must commit to the full program, exactly as written and executed. Anything less and you are selling yourself short. You are in complete control of your results and your success. I cannot emphasize enough this simple fact- the next 6-weeks will change your life. You get out what you put in. Posted on June 28, 2017 by Molly Kieland and tagged summer shred weight loss strength training barbells kettlebells high intensity training fuelhouse.